Part of the fun of the post-Christmas season is finally getting to post about things I made and gave to people as gifts. The secrets are (mostly) out of the bag now, so I can write about what I’ve been working on during my crafty marathon. 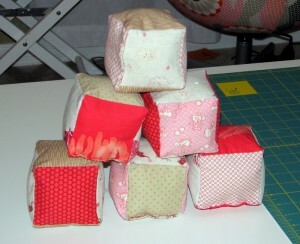 I made these baby blocks for my niece Grace who will be 2 in March. 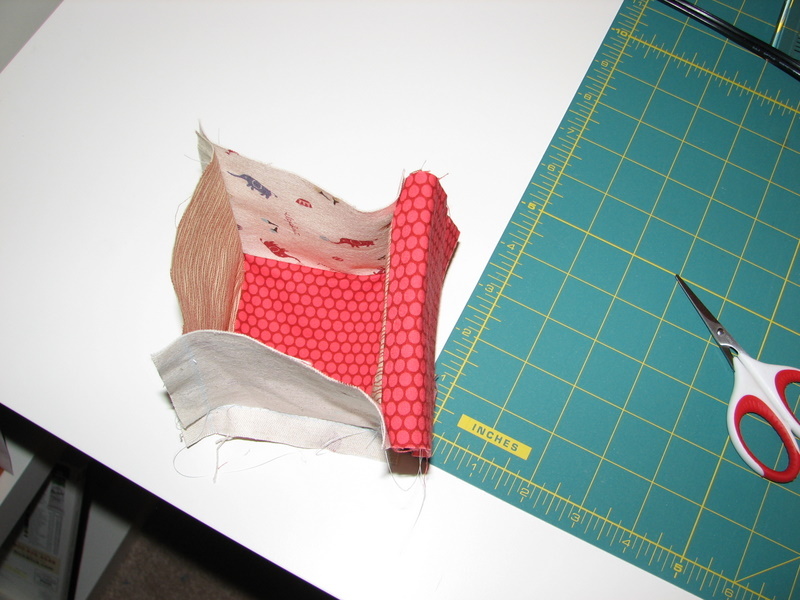 I can’t remember how I originally found this tutorial, but it’s a great Flickr tutorial from London Mummy. The cubes were delivered to Grace on Christmas Day, and I consider it a personal coup that in the midst of an insane pile of toys she was given she actually stopped to throw my blocks around for a solid 15 seconds before moving on to the next thing. She loves blocks, so I’m hoping she will go back to these once the excitement of Christmas has died down and my sister-in-law rations out some of the toys she received. 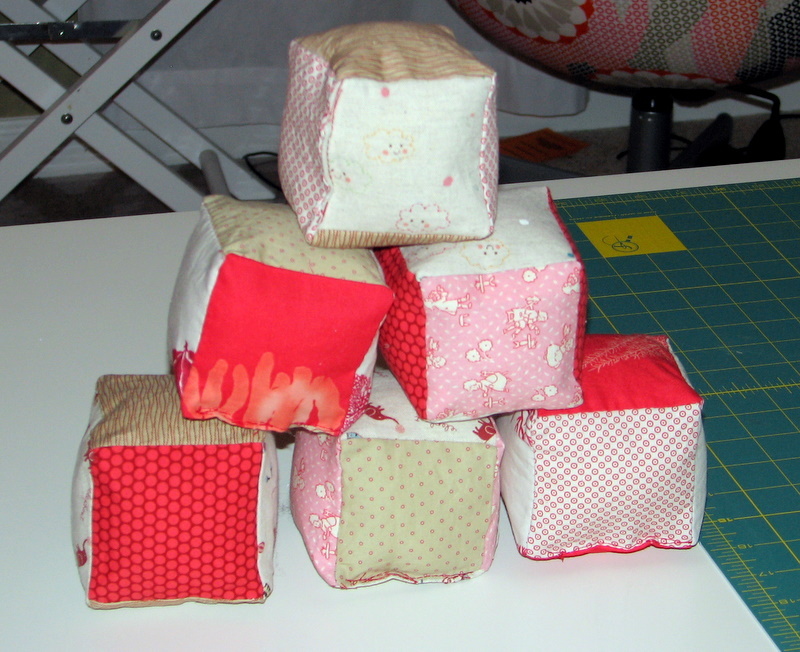 The cubes were easy to make, and the only thing I would change is blindstitching them closed in the future so you don’t see the seams. But I was in a rush of holiday crafting and just stuck those bad boys right under the machine to Get. It. Done. Another successful holiday gift delivered!